Beautifully embroidered “Dancing is My Passion” design features grosgrain ribbon and bow trim. 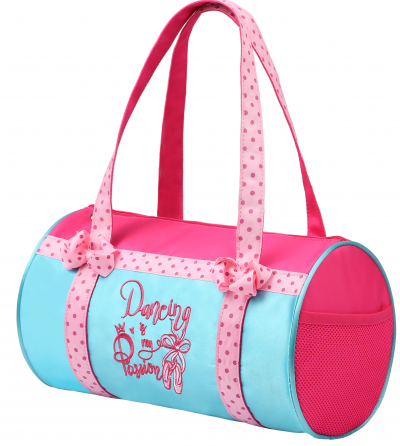 Fun teal and pink colors brighten up your dance life. Personal ID pouch. Can be personalized.